Those of you who have followed me for a while will know that in 2017 I set myself the challenge of running 100 miles a month. I found it very motivating to do, and by the end of the year I managed it (with a slight rearrangement for July and September to account for holidays, and running too much in July). 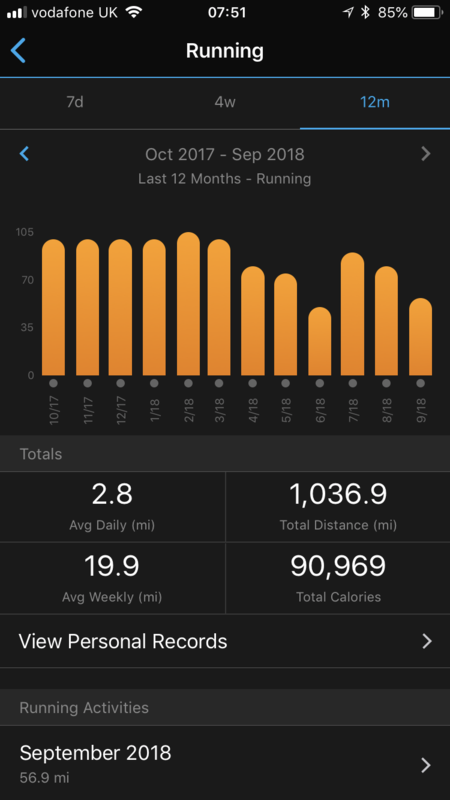 This year I decided not to do the 100 miles a month, but instead to aim to round up my monthly miles to the nearest 5 or 10 miles. Still motivation to run, but more flexibility and not the need to cram it all in to one month. So that will be … 750 miles in 9 months. 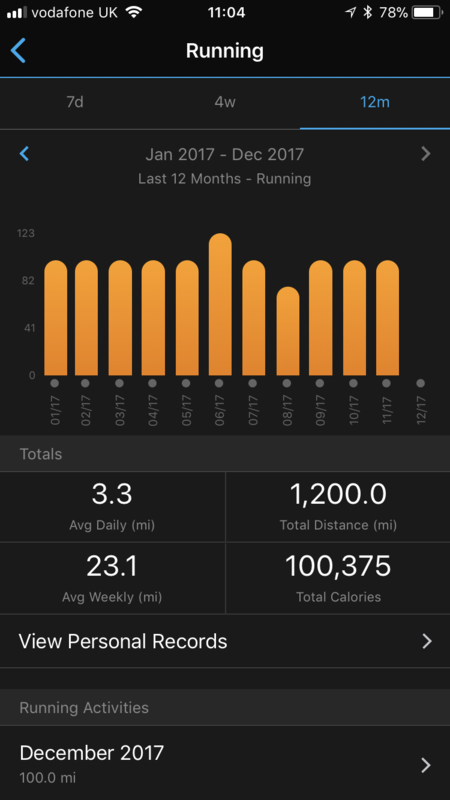 And if I want to run 1,000 miles this year, which would be nice… I have 250 to go, in 3 months = about 85 miles a month. In winter it’s easily to maybe do less running with the cold weather and shorter days, but hopefully this target of around 85 miles a month for the next three months will keep me on track with it. Ps: can you tell I like numbers and graphs?